Edition Pricebaba together with the authoritative author of the leaks OnLeaks updated information about the new line of smartphones OnePlus. Previously, it was expected that the new flagship will be traveling selfie camera and a triple major, but these functions only get the Pro version. 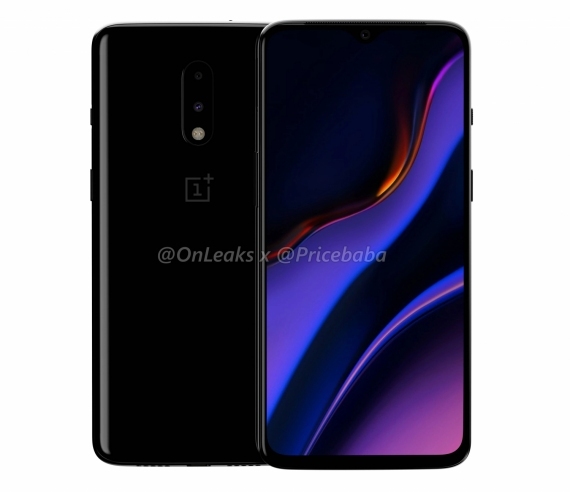 The standard version of the OnePlus 7 looks very similar to the previous flagship, the OnePlus 6T. The only noticeable change is the flash inside the camera module, but not outside. The smartphone has dimensions 157,7×74,8×8,1 mm. the display is 6.2″ instead of 6.41″ 6T. Location of ports and buttons is the same: a power button and slider modes on the right and the SIM tray with the rocker volume on the left. Bottom USB Type-C and mono speaker with microphone. 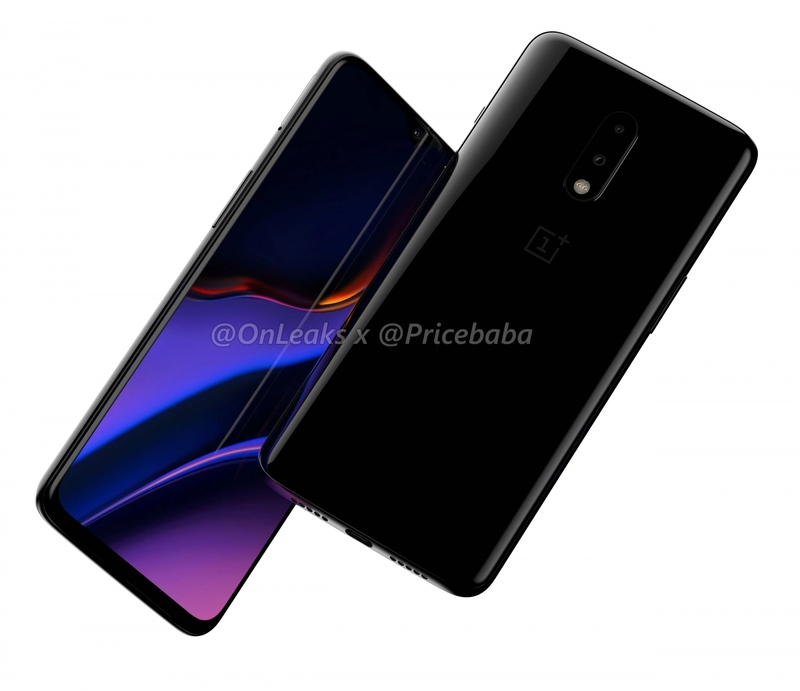 Renderings published by Pricebaba and OnLeaks in March, relevant for the OnePlus 7 Pro. This modification, in addition to these features, get a larger display with rounded edges. A recent leak has revealed that OnePlus will present new smartphones on may 14. 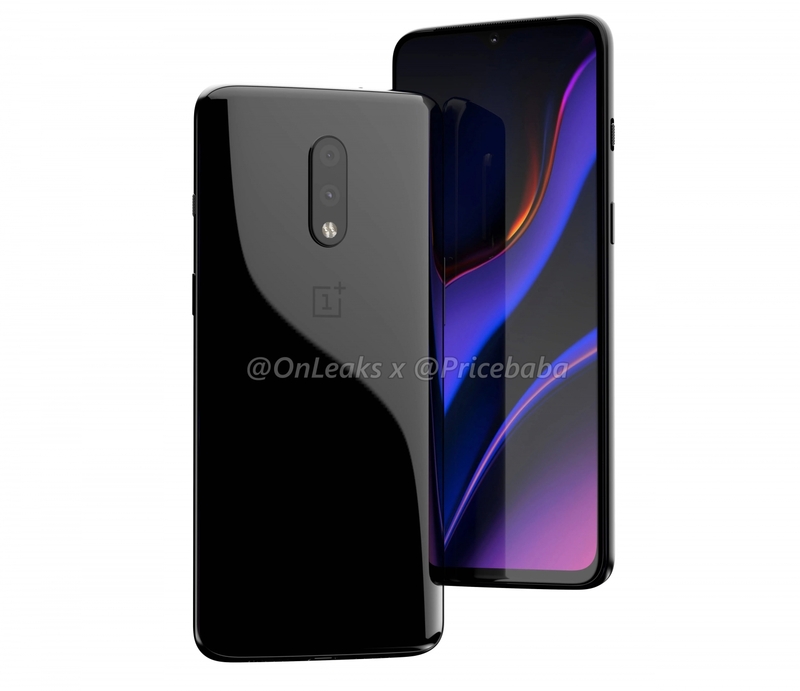 In addition to the OnePlus 7 and 7 Pro is expected a special version of the OnePlus 7 Pro 5G. The cost of the basic version can be started from 39 990 rupees (~36 900 rubles).